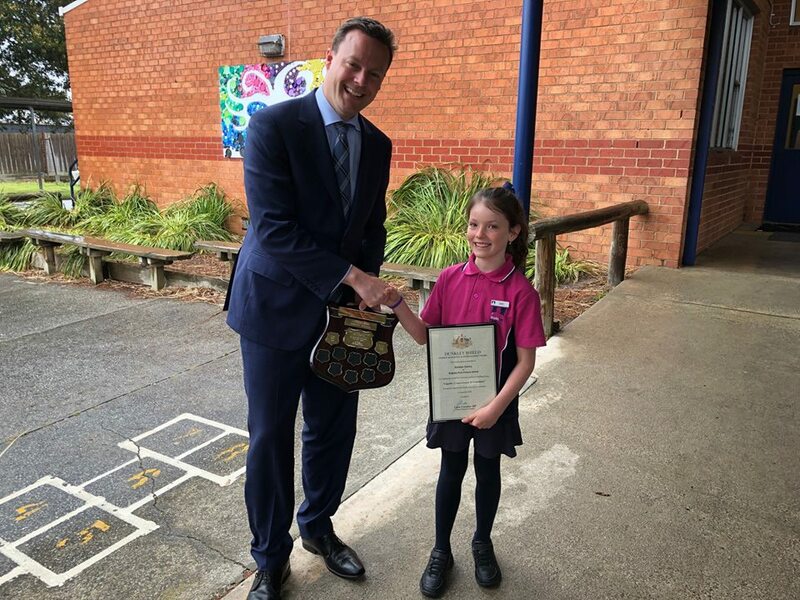 A big thank you to MP Chris Crewther for again providing the Dunkley Award to one of our students at assembly last Friday. CONGRATULATIONS to Kaitlyn Dastey on being awarded this fine achievement. Kaitlyn is a happy and positive student who always strives to do her best in everything she does. She displays confidence when attempting new activities and shows persistence and resilience to overcome challenges. Kaitlyn has shown she is capable of public speaking and undertaking... all her responsibilities as a Student Representative of our school. She is eager to support her peers and is inclusive of everyone, showing compassion and friendliness. Kaitlyn has a real passion for dance and gymnastics and is committed to being punctual to her classes with regular attendance. She will always give everything a go and do it the best of her ability. Well done Kaitlyn on being an awesome Kingsley Kid!